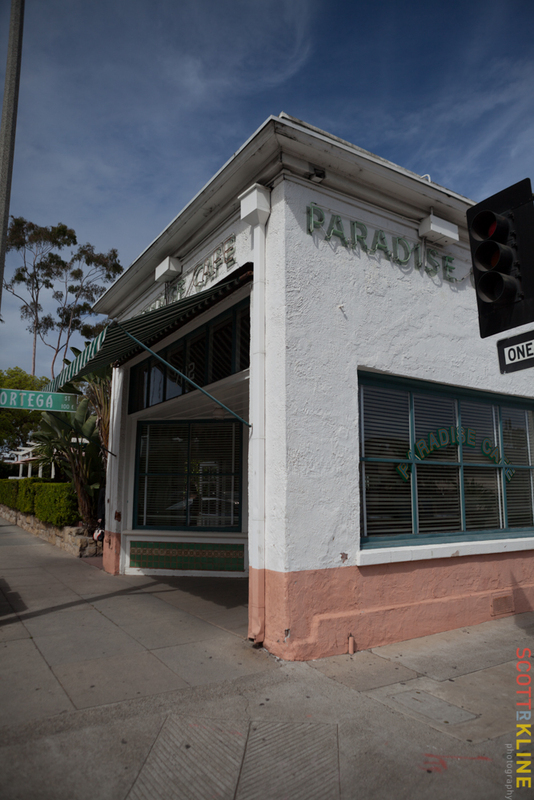 Paradise Cafe is a nice place in the middle of down town Santa Barbara. Outdoor dining is available. Inside the vibe is very Santa Barbara with ferns printed on the seat backs and bamboo tabletops. Our blonde, ponytailed server flitted about smiling the whole time. Food came quickly after ordering. 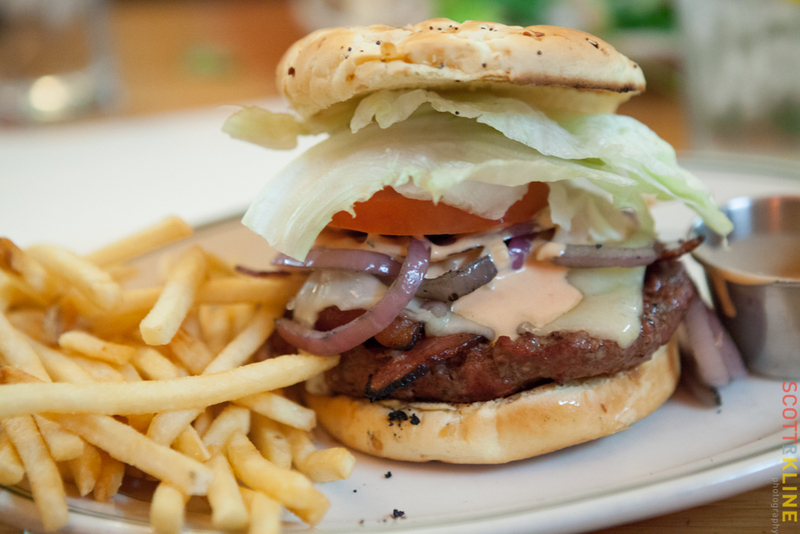 It is a huge looking burger served open faced with all the hot stuff in one side and the veggies on the top half of the bun. Assembling resulted in a 4-inch tall stack. The 1/2 pound Paradise Burger sells for $11.95 plus $1.50 for bacon. I selected Swiss cheese instead of standard Cheddar. The patty was smokey and tasty. Juicy meat was nicely salty. Red onions were piled on top and sweetly grilled. Bacon was smokey but a little flaccid. There was a nice thousand island style sauce on the side. Iceberg lettuce. Tomato slice. Pickle chips. The Onion bun was a little smashed but properly toasted. The burger comes with thin cut fries; cold, soggy, not impressive. Paradise Cafe is a pleasant place to have a solid burger that will fill you up. Soak up a little bit of Santa Barbara charm while you are there.